Something we’re regularly asked when recommending acupuncture is ”Isn’t it an ancient form of Chinese medicine? How does it actually work?”. Yes – It is a traditional practice based on the belief that an energy flows through a system of channels in the body called meridians. 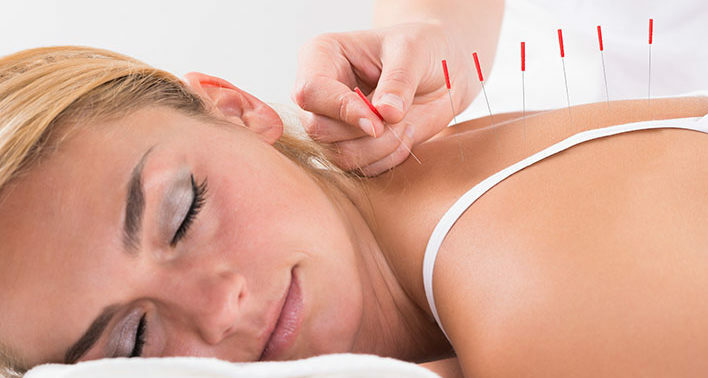 Practitioners who adhere to traditional beliefs about acupuncture believe that when there isn’t a free flow of energy through the body, this is believed to cause discomfort and the insertion of needles into key points in the body will restore the flow and health of the patient. “That’s fine but it doesn’t answer how it actually works on a biological level. How will inserting needles into me help with my treatment?”…is usually the next question! What acupuncture is doing when the needles are inserted is stimulating the sensory nerves under the skin and in the muscles. This causes the body to produce natural chemicals, including pain-relieving endorphins and adrenaline. It also reduces muscle spasm and increases circulation around the needle site. A course of acupuncture sessions will create longer lasting pain relief than just a single treatment. When used as part of a treatment programme it can be very beneficial in rehabilitating and reducing discomfort in patients. So what would you expect from your treatment? Needles are inserted into acupuncture points. These are key areas on the body. During the treatment, you’ll usually be asked to lie down so the practitioner can treat you. The needles used are very fine and are usually a few centimetres long. They are single-use sterile needles that are disposed of following your treatment. The needles are inserted into the skin and muscle tissue and are left in position for just a few minutes or even up to half an hour. The sensation you feel may be a tingling or a dull ache in the muscles around the needles but you shouldn’t experience any significant pain. Depending on the condition you’re suffering from, the physio may finely twist the needles to stimulate and increase their effects. Some people love acupuncture some people would rather not try it. At Neil Minter & Associates we use a range of treatments to reduce our patients’ discomfort and restore them to full health we always have an alternative. Still got questions or want to speak to one of our team? Give us a call and we’ll be happy to talk.